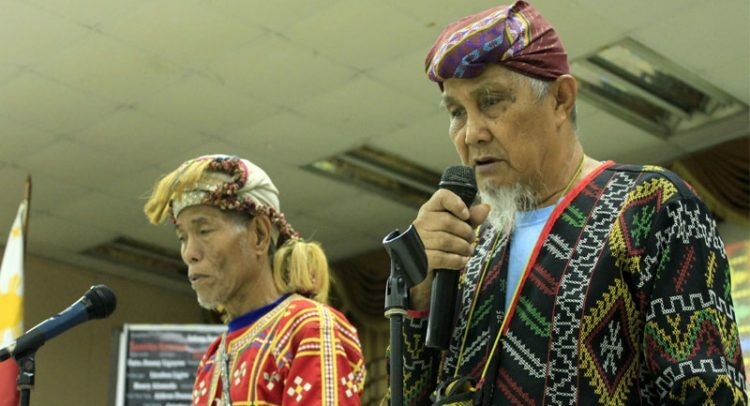 On Indigenous Peoples (IP) Sunday, 15 churches welcomed representatives from different Lumad tribes in Mindanao to share their experiences of landlessness, oppression, and militarization in their communities brought about by mining operations and corporate plantations. “It was our second year of engaging our member churches in the observance of the Indigenous Peoples Sunday with the testimonies from our Lumad brothers and sisters. It was an opportune time for our constituents to hear their stories of struggle for land and life and how thankful they are for the churches who provide sanctuaries for them in Davao City and in Kidapawan”, said Rev. Irma Balaba, NCCP program asssistant on Christian Unity and Ecumenical Relations (CUER). The Lumads shared their main call of #StopLumadKillings in Manilakbayan 2016, as well as their experiences in front of the US Embassy during the brutal and violent dispersal by the Manila police. “It wasin deed a very informative and challenging experience with the Lumads as they narrated to us their stories. May it serve as an inspiration for my parishioners to actively involve themselves in the issues and concerns of the Indigenous Peoples,” said Rev. Grace Masegmen of the Iglesia Filipina Independiente (IFI)-Malanday. Funds were also raised from NCCP churches for the Lumads on IP Sunday. “As part of the NCCP’s solidarity support to the Manilakbayan within the whole duration of their stay at the Kampuhan sa UP, CUER through the specials offerings of the churches was able to remit the amount of PhP 64,687 to the IP partner organization,” said Rev. Balaba.